Burberry is using its existing partnership with Chinese app WeChat to push its luxury gifts for the Chinese New Year. 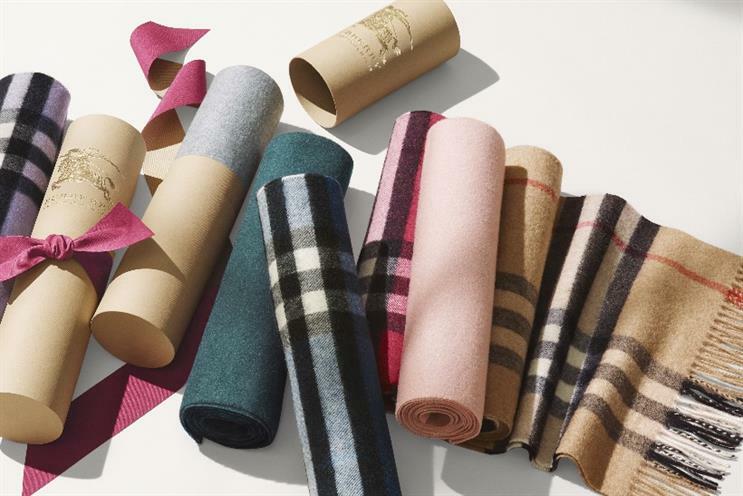 Burberry has created a neat 'unwrapping' experience on the chat app, letting its followers on WeChat swipe, tap and shake their phones to unwrap digital scarves, wallets, trenchcoats and totes. The brand's WeChat followers can find the presents by replying 'LNY' to Burberry's account, or clicking on WeChat's tab menu. A Burberry present then appears on the home screen, which can be unwrapped. The luxury brand also has its own take on the red envelope, a Chinese custom, whereby friends and family exchange money on special occasions. Once Burberry's followers have unwrapped their digital gift, they can send digital red envelopes to friends and family via WeChat. The incentive for WeChat users to follow and engage with Burberry is the chance to win one of the brand's physical Lunar New Year envelopes. These are also given out in-store. In keeping with Chinese custom, the envelopes don't contain anything, but can by used by customers to give money as a gift. The campaign marks the second anniversary of Burberry's partnership with WeChat, established to strengthen the brand in China. In its latest financial results, Burberry revealed that mobile now accounts for the 'majority' of traffic to its site, though not necessarily sales.